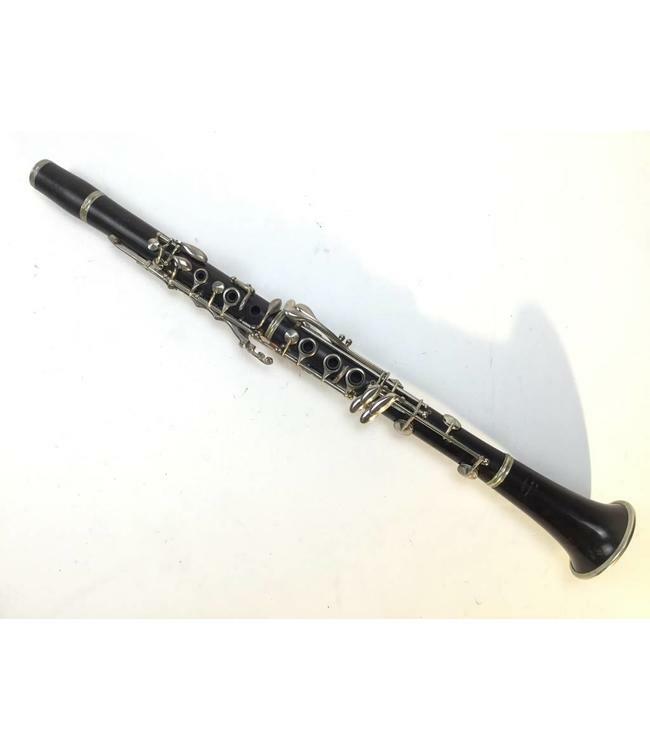 Used wood Evette clarinet. Wood is in good condition. Nickel plated keys show some signs of wear. Recently adjusted and regulated. Comes with Pro-Tec case.